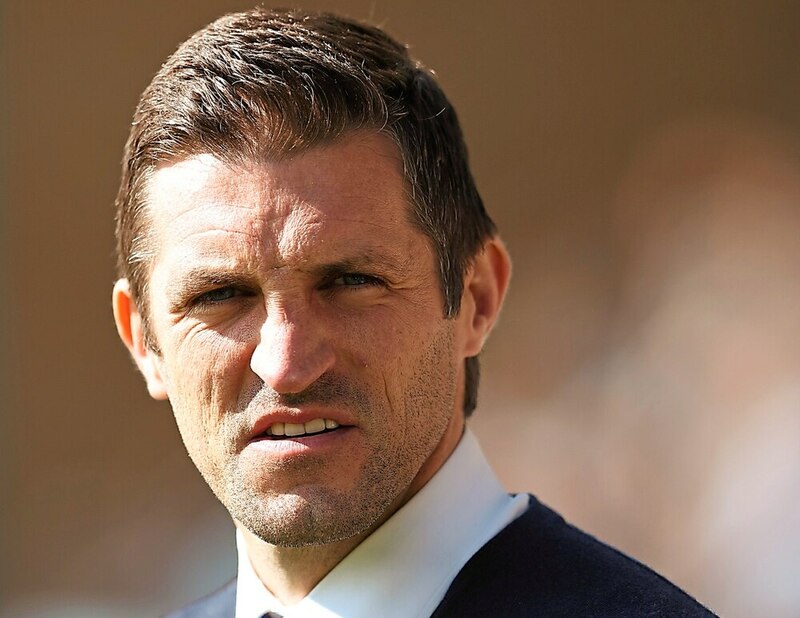 ‘This is just the beginning’ – was the message from Shrewsbury boss Sam Ricketts as his side hit the magical 50-point mark to all-but seal League One safety. Salop won on the road in the league for the second match running with a convincing 2-0 success at Gillingham, which lifted them into 13th place. The win, while bringing up a half-century of points – the general yardstick for survival – leaves Shrews six points clear of the bottom four with just four matches to play. James Bolton and Tyrese Campbell netted for Town just after half-time in a game Ricketts’ men deserved to win as Shrewsbury made it three matches unbeaten and just one defeat in five in their mini-revival. Ricketts sees the improvements as a start of things to come in his long-term plans for Shrewsbury. He said: “What you’re seeing is your ideas and your beliefs. “I feel we’re in the very, very infant stages of what I want to do here. What’s really pleasing is seeing these bits come into play now to get the results we are. “We’re in the infant stage of what I want, how I want to play, to control games. The players have bought into it and we’re getting the results. Ricketts and Town can almost secure mathematical safety in the first of their Easter Bank Holiday games, the tough trip to second-placed Barnsley on Friday. A win, with defeat for the bottom four, would open up a nine-point gap with three matches to go. Town’s goal difference is significantly better than those sides occupying the bottom positions. Asked if he was anywhere near relaxing, Ricketts replied: “Not yet, I’ll relax when it’s mathematically done. "Fifty points – is it enough, is it not? I don’t know. Town hope the injury to striker Aaron Amadi-Holloway, that forced him out of the matchday squad at Gillingham, isn’t serious. Ricketts revealed a niggling injury worsened in training last Friday and the Welshman felt no improvement on Saturday.